About the Author: Jimmy Cajoleas grew up in Jackson, Mississippi. He earned his MFA from the University of Mississippi and now lives in Brooklyn. 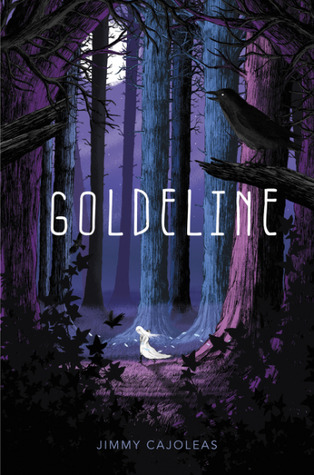 Goldeline is his first novel. Visit him online at www.jimmycajoleas.com. Noteworthy experiences while reading this book: Pegged as a Fantasy but it didn't have a lot of magic in it. Notes and Opinions: For me, this one is closer to a ghost story vs. a fantasy. I did like the journey we get in this but I think it sounded more like a middle-grade title vs. a teen one. The characters were great but this one really didn't leave a lasting impression. It was a good book but not one that will stick with me for the future.